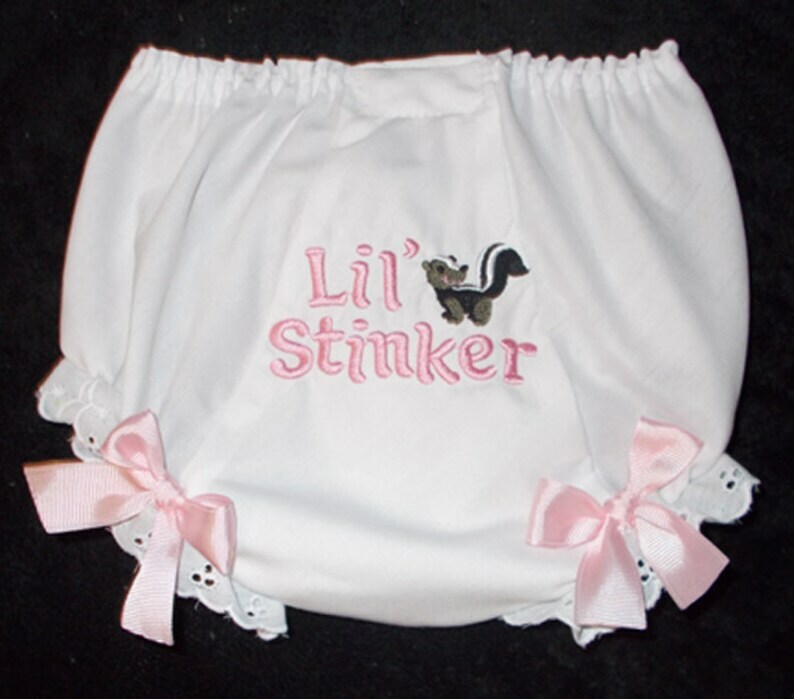 Cute little white fancy pant diaper covers are 65% Cotton/35% Polyester with elastic waist and leg openings trimmed with white eyelet. Embroidered with adorable little stinker skunk design on bottom. 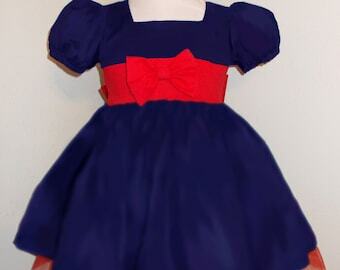 Pink Accent bows give an added cute touch.